In 2002, with nothing more than audacity and hope, David Babner and I created John Bingham Racing [JBR] and purchased the Chicago Distance Classic. We went on to create the Capital City Half Marathon [Columbus, Ohio] and the Arizona Distance Classic in Oro Valley, Arizona – just outside of Tucson. We also had a few smaller races in Columbus. We had only one corporate philosophy: treat everyone’s accomplishment as meaningful to them. Not to US, not to OTHERS, but to THEM. And being a back-of-the-packer who has finished last – or nearly last – in races I vowed that no one in the pack would be humiliated. To that end, we had volunteers – the “Balloon Cuties” – who walked behind the final finisher. It was impossible to finish last in a JBR event. I’m a Chicago kid. 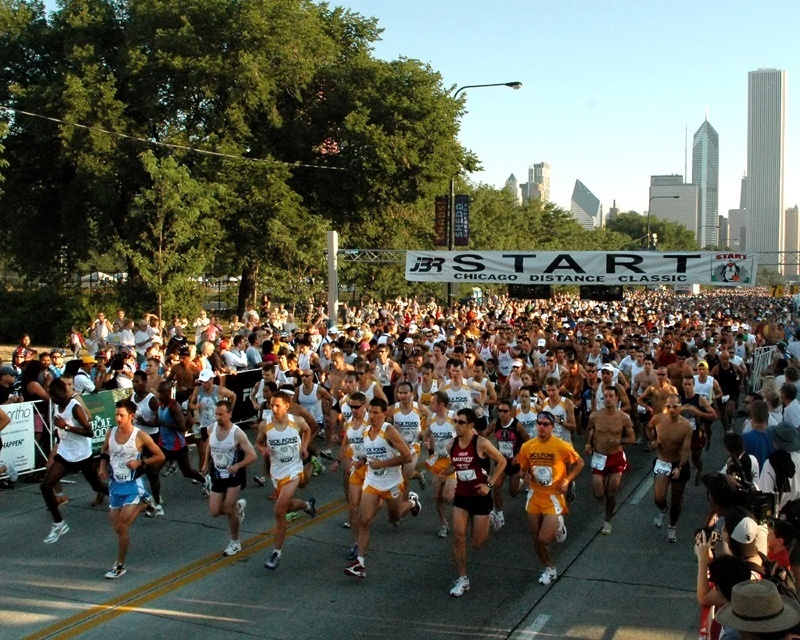 The race was a Chicago running tradition. It’s the oldest continuously held race in the city limits. What I wanted, what WE wanted, was an event that celebrated the Chicago running community. 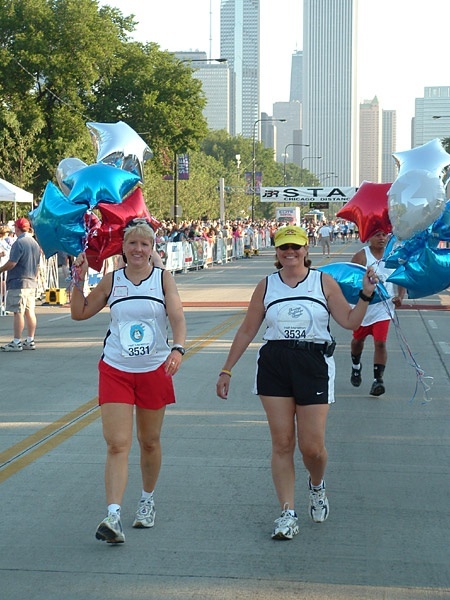 We wanted a race that honored the achievement of Chicago’s best runners, provided a vehicle for local charities to raise money, and helped the entire Chicago community at large celebrate an active lifestyle. The best runners in any community know each other. In many cases they’ve been racing against each other since high school or before. We wanted the BEST runners in OUR community to race against each other. We did NOT want OUR best runners to finish 11th because we hired 10 elites to finish in front of them. How can it possibly be motivating to think that the BEST you can hope to do is finish 11th? We wanted OUR runners to win and build their confidence and running resume’s. We wanted the man or woman who came in 3rd one year to know that they could come back and take a shot at winning the next year. It was OUR race. OUR running community. We handed out free entries to the running specialty stores because we knew that many of their employees wanted to compete. We gave free entries to private running coaches to encourage them to bring out the best in their stables. We didn’t PAY anyone to race, but, we went out of our way to make sure that anyone who wanted to race at the front could toe the line. Who made that possible? Not just JBR. It was made possible by the thousands of runners and walkers who paid their entry fee. What we tried to do, and what I think we successfully did, was provide an opportunity for everyone to take the risk of finding out what their best was on race day. For some it was finishing in a little over an hour. For others it was finishing in a little over 4 hours. I’m proud of what we accomplished with the Chicago Distance Classic. We went from 2,400 registrants to over 10.000 in the years we produced the race. When Competitor Group bought the race and changed the name to “Rock ‘n’ Roll Chicago” I was happy for the running community. A small group of part-time employees can only do so much. What CGI did very well was take a good local race and make it a destination event. There was nothing sinister about our decision not to hire elites. It wasn’t about money. It wasn’t about not supporting elite runners. The decision was TO support the running community to which we all belonged.